I love face washes, and I am the first person to admit that, and there hasn't been one that I have gotten so excited about after the first use than this one. 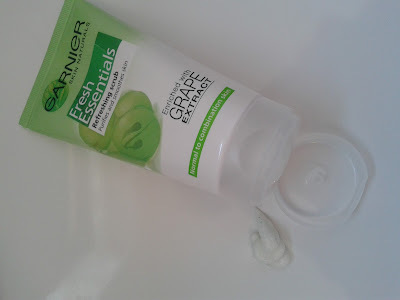 The face wash in question is the Garnier Skin Naturals Fresh Essentials Refreshing Scrub, enriched with grape extract. The first thing you notice with this is the attractive packaging. 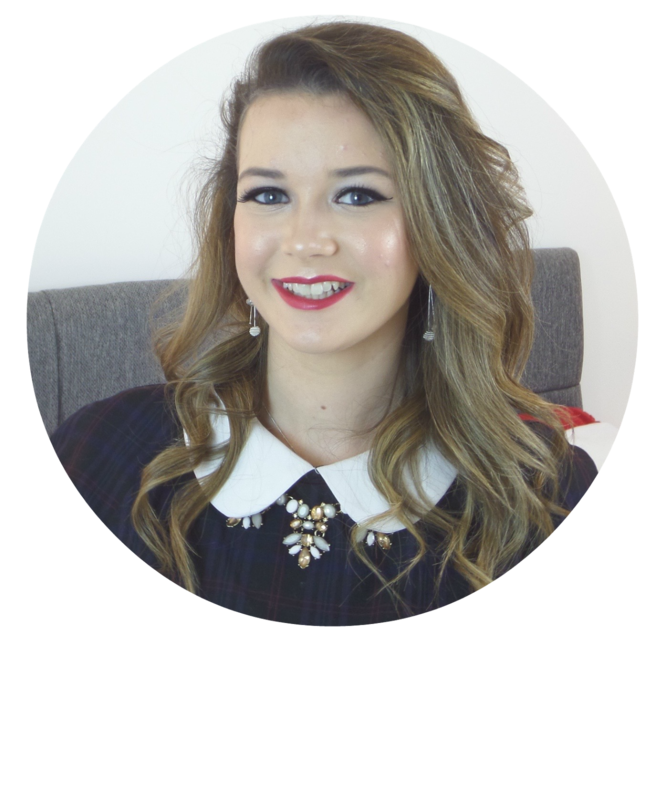 Garnier have used an attractive colour combination of white and green using a gradient effect. They keep the information nice and clear and to the point, to avoid overcrowding the packaging. The picture of grapes ties in with the grape extract that is in the product. The product comes out as a thick white cream with sparse green beads. When applied to the face you can smell the product, and it smells lovely, the grape extract gives it a fresh and awakening feeling. As you massage the product into the skin in circular motions, focusing on the forehead, nose and chin, you can feel the exfoliating beads. The beads are larger than in most face scrubs, and to me feel like grape seeds perfectly in keeping with the theme. As a result it does feel like a relatively harsh scrub, but I like how clean and radiant it makes my face and skin feel after use. The product recommends this for normal to combination skin and I would recommend it for anyone, especially for the price I paid. I purchased this from Sainsbury’s for £1.67 (at half price, normal price £3.35) but, I would still pay full price as this product really impressed me. 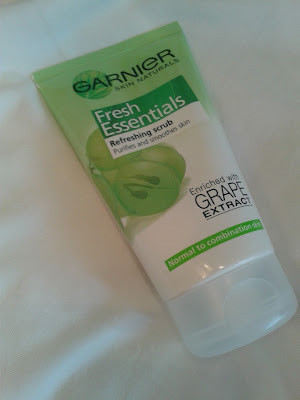 Garnier have really created a wonderful product with a nice fresh take on the face scrub market and I am really impressed with their work and cannot wait to continue using this product.